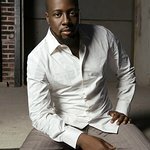 Wyclef Jean will perform at a special charity event to help the people of Haiti tomorrow, December 16. Fashion icon and Urban Zen founder Donna Karan & music mogul Andre Harrell will host the launch of THE TRUTH at the Urban Zen Center, 711 Greenwich Street, New York, tomorrow night. Human rights activist Kerry Kennedy will be Master of Ceremonies, renowned fashion photographer Marc Baptiste is the Exhibition’s Curator, and Christie’s Lydia Fenet is the evening’s Auctioneer. The Premier Reception will also feature musical performances from Grammy Award-winning artist Wyclef Jean and special guests. Plus, a LIVE three-hour Twitter party hosted by Kim Kardashian will also take place. Expected to attend the event are Forest Whitaker, Spike Lee, Erykah Badu, David Arquette, Maria Bello and Jimmy Jean-Louis. Tickets can be purchased for $125 at www.UrbanZen.org. A companion online charity auction entitled THE TRUTH: A HAITI HOPE HELP & RELIEF AUCTION will be open to bidders worldwide at leading charity auction site charitybuzz from Dec 9th through Jan 21st at www.charitybuzz.com/TheTruth. The online auction will feature 68 stunning photographic works of art from the exhibition. HOPE, HELP & RELIEF HAITI was created by Donna Karan and her Urban Zen Foundation, music executive Andre Harrell, Mary J. Blige's FFAWN, and Andre Balazs and The Standard as an initiative aimed at galvanizing a community in response to Haiti’s immediate need to rebuild. HHRH’s mission is to create a conscious community of leaders in music, fashion, film, finance and art to become agents of change for the renewal of Haiti. The initiative launched in February 2010 with a “Night of Humanity,” a fundraising event at the Urban Zen Center and raised over $1 million for Haiti.